The voice that is heard deep within the soul is my voice - the voice of inspiration, of intuition, of guidance. Through those who are receptive to this voice, I speak. 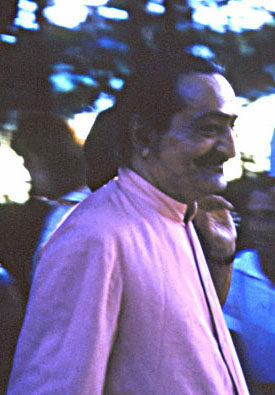 "To me each and every photograph of Avatar Meher Baba —the Beloved Godman—is very precious. It is a portrayal of the Divine coming amongst us in human form." 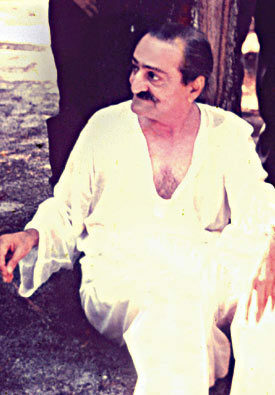 On a typical day during Meher Baba’s stay at the Center in 1952, he would take a walk to the beach in the early morning, have private interviews in the late morning, outdoor recreation in the afternoon, and intimate gatherings for jokes, stories of his early life, and readings of spiritual poetry in the evening. 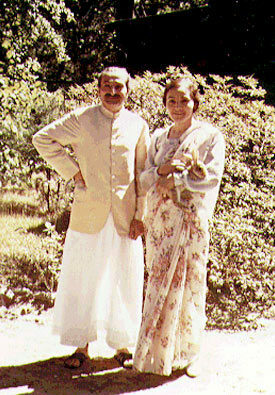 Meher Baba’s 1952 visit to the Center was the most lengthy of his three visits, lasting a month, from April 20th until May 20th. 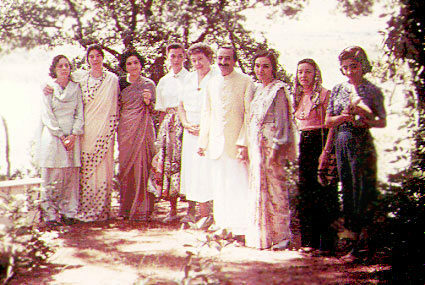 Several of his mandali (close disciples) accompanied him on this trip: Mehera, Mani, Meheru, Goher, Rano, Kitty, Adi Sr., Sarosh, Meherjee, Gustadji, Dr. Nilu, and Dr. Donkin. 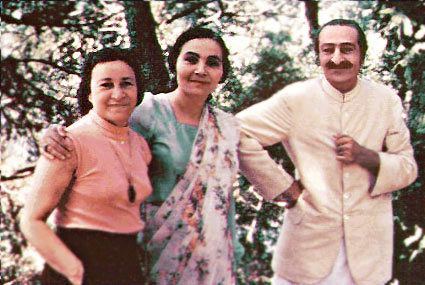 Meher Baba’s stay at the Center in 1956 was part of a world tour that included stops in Europe, New York, Los Angeles, San Francisco and Australia. 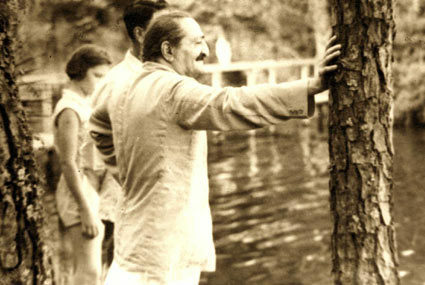 At the Center, he met many people individually or in small groups in the Lagoon Cabin, and some large gatherings were held in the Barn where many discourses and talks on various subjects were given. 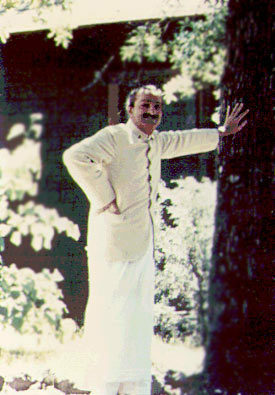 Meher Baba’s visit to the Center in 1956 was the most brief of his three stays, lasting just six days, July 24 - 30. 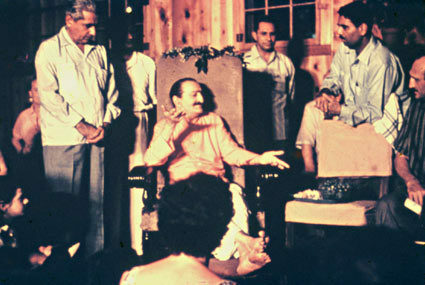 He was accompanied by four of his men mandali, Eruch Jessawala, Adi K. Irani, Dr. Nilu, and Meherjee Karkaria. 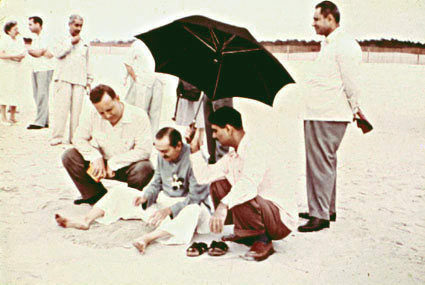 About 80 people came to be with Baba at the Center during this visit, some having to sleep at nearby motels. 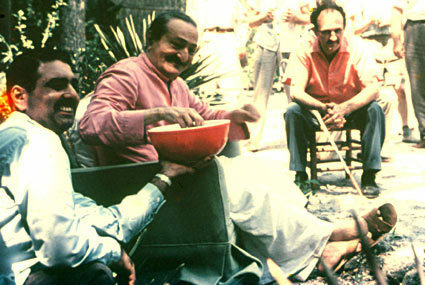 On one occasion, Meher Baba invited everyone to his house. 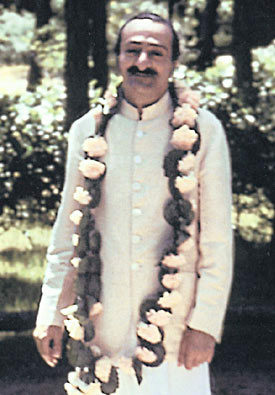 He stated, “Of all the places in the world, I feel most comfortable in this house; even though the climate is hot and humid, I like this place.” Baba then stood on the porch like a gracious host and all were invited to see everything inside the house. 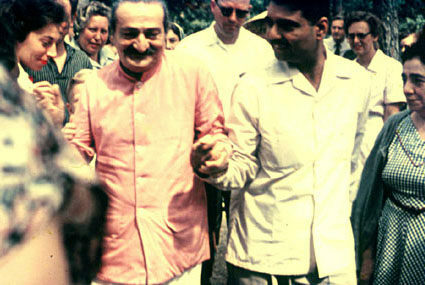 Having suffered damage to his hip, Meher Baba had to be supported as he walked, or carried in a chair, when he visited in 1958. There were usually large gatherings in the Barn in the mornings, and interviews with small groups or individuals in the Lagoon Cabin in the afternoons. 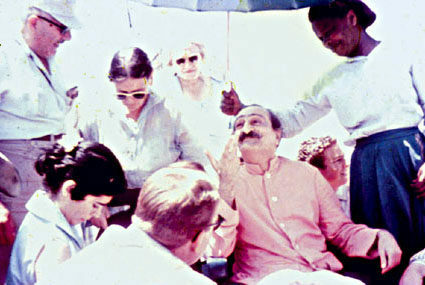 Meher Baba’s visit to the Center in 1958 lasted from May 17th until the 30th. 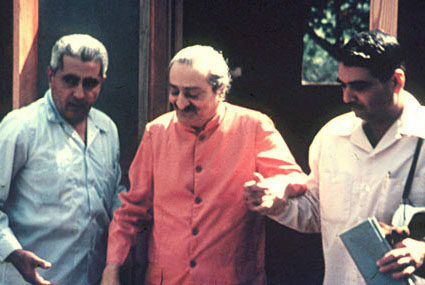 He was accompanied by Eruch Jessawala, Adi K. Irani, Nariman Dadachanji, and Dr. William Donkin. 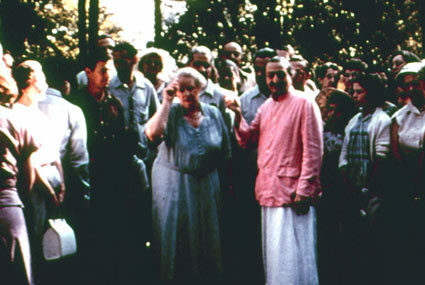 About 225 people, from all over the U.S. and Europe, came to be with Baba at the Center at this time, most of whom had to sleep in nearby motels. 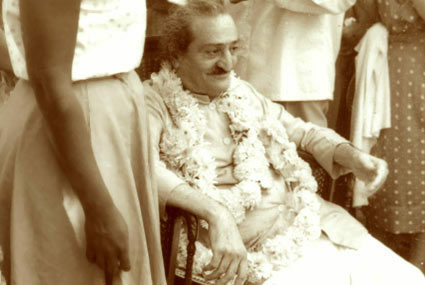 During Meher Baba’s 1958 visit, there was a special “birthday” party for all the children. 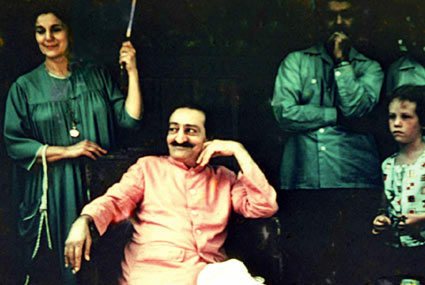 There was a long table of about 40 children seated in front of Baba. 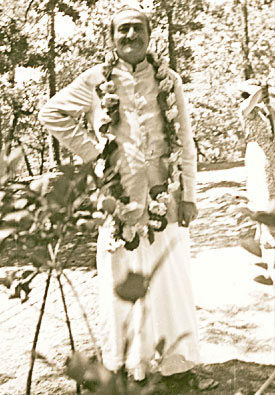 The children were served lemonade and cake and each received a loving embrace from Baba. Then the children were taken on rides in the gondola on the lake.